The Jetta has been one of the most-loved rides on the road for some 40 years now, so when it was announced that the latest edition would boast a complete redesign, drivers everywhere were excited to see what the result would be. The result was the 2019 Volkswagen Jetta, which brought this popular model into the future. Let’s take a look at the tech offered by the new Jetta. For starters, your new Jetta can come equipped with the sleek, customizable Volkswagen Digital Cockpit—a high-def innovation that was borrowed from Audi. An 8-inch navigation touchscreen makes it easy to see and get where you’re going. App-Connect makes it a snap to link your phone to your infotainment system. And the latest safety and driver assist features like adaptive cruise control, blind spot monitoring, light assist, lane assist, and rear traffic alert mean you can drive with confidence. All of these features are great, but two new elements really have people talking. First, the stereo was designed in conjunction with BeatsAudio, giving the Jetta one of the best audio systems on the road. And the interior boasts a 10-color customizable ambient lighting setup so that you can easily tailor the atmosphere to your mood. 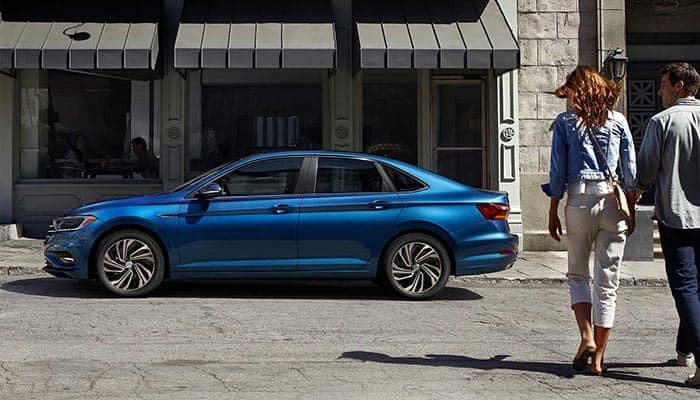 As a result of all of these features, the 2019 VW Jetta feels more premium and contemporary than any previous edition. Simply put, it’s the slickest Jetta yet. Experts have lavished the new Jetta with praise. Car and Driver hailed its “classy interior” and its “responsive 1.4 liter turbo.” 100% of Cars.com drivers recommend the 2019 Jetta. And Motortrend says it’s a contender for Car of the Year. Now it’s time for you to see the 2019 Jetta in action. Head over to our Tampa Volkswagen dealer and take it for a test drive. At Reeves Volkswagen, we offer the largest selection of the new Jetta that you’ll find anywhere in Tampa, so you can be sure to get behind the wheel of the perfect trim for you. And thanks to our friendly service, you’ll enjoy every step of your shopping experience. Contact us with any questions about the Jetta, such as its available rims and other accessories! 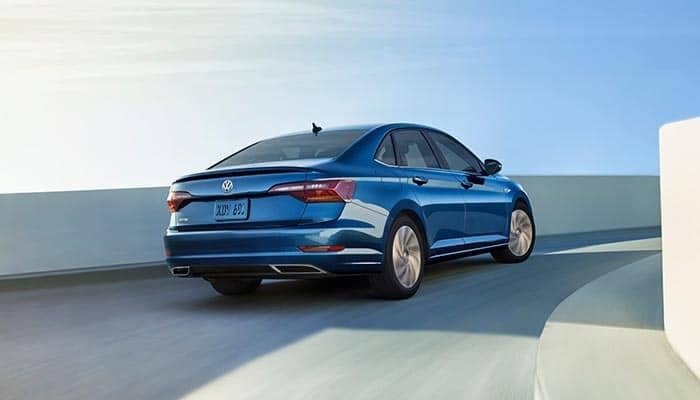 Check out our selection of the new 2019 Volkswagen Jetta online, or call Reeves Volkswagen at (855) 248-4512 today. 0 comment(s) so far on What Kind of New Tech Is in the 2019 VW Jetta?